As 2015 rolls in, instead of making lavish resolutions, I decided to enjoy the simple pleasures of life. Thing like really living for the moment, or focusing on a few tasks and doing them well. I plan on getting lost in a great cup of coffee or enjoying open roads and dirty drum n’ bass as I drive. Yes, 2015 will be the simplest year I’ve lived thusfar. 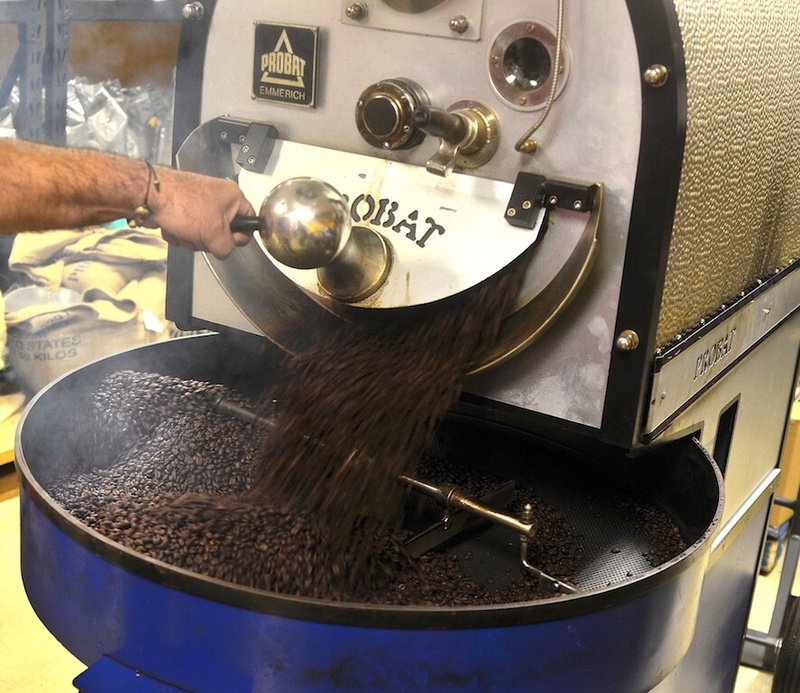 It all began with at Georgio’s Coffee Roasters in Farmingdale. The year started with an Ethiopian roasted coffee called Semeon Abay. Semeon Abay is an intense, intricate and sweet roast that drinks more like a fine tea then what most of us consider coffee. (Most of the great coffees in the world are this way.) My life changed with Semeon’s dry-roasted brew. Don’t get me wrong, I’m not saying it solved the mysteries of my life, but it did change the way I look at my favorite beverage. Semeon Abay is a pricy treat, one that I can not normally afford, but like a fine lobster tail, I will dabble occasionally. Georgio’s incredibly popular coffee shop is centrally located on New Highway. We also sampled the Panamanian Geisha. By most critics, this is considered the second best coffee in the world, only behind the Semeon Abay. This coffee has extraordinary character and aromas of jasmine. The Geisha coffee has hints citrus and honey notes, with great acidity. Again, this coffee drinks more like a fine tea rather than coffee. 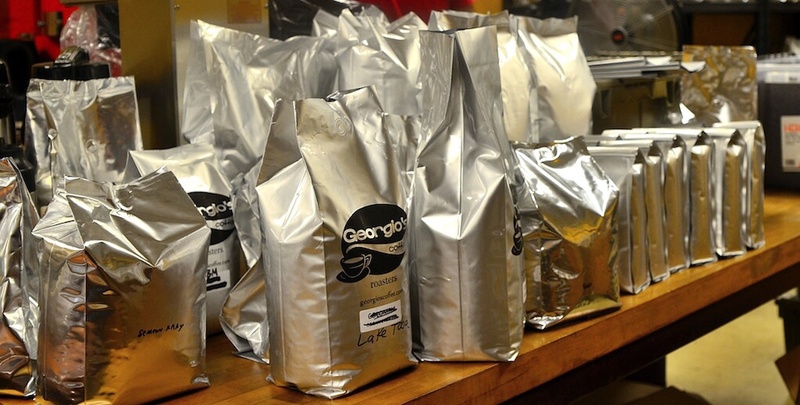 Georgio’s roasts and brews coffee on location, from beans to finish. 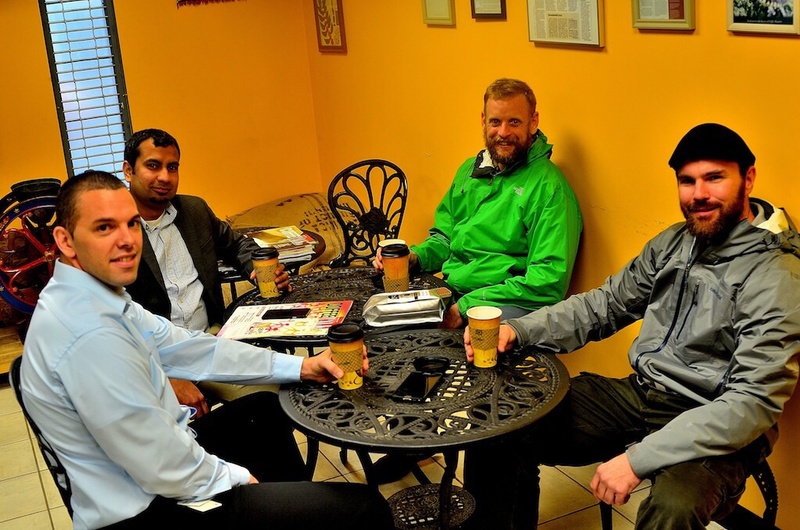 Georgio’s is more than just a coffee house; it is a college. I came in with a Bachelor’s Degree in consumerism, I left with a PhD in Coffeenomics. A perfect cup of coffee is 2 tablespoons for every 6 ounces of water. The more expensive the coffee, the lighter the blend. Coffee is supposed to drink like a fine tea. Coffee should be made before the water boils to give it more oxygen. This creates a better taste. Like in most businesses, the truth is in the details. The finer points are what separates businesses from establishments. Georgio’s is the latter. What you find here are roasting machines. They do not outsource this. Every cup was roasted right in Farmingdale; Georgio’s controls the process from raw beans in a sack to the ceramic of the cup. Speaking of details, their iced coffee is amazing. They actually FREEZE coffee into ice cubes! Now THAT, is attention to detail.